View of CARIS Onboard running on the F.G. Creed. Left on the screen is Control Centre, used for monitoring the processing progress. Right on the screen is CARIS Easy View™ connected to the live updating CUBE surface. Comparison of known target coordinates to the detected coordinates. CSL Shoal Seeker. 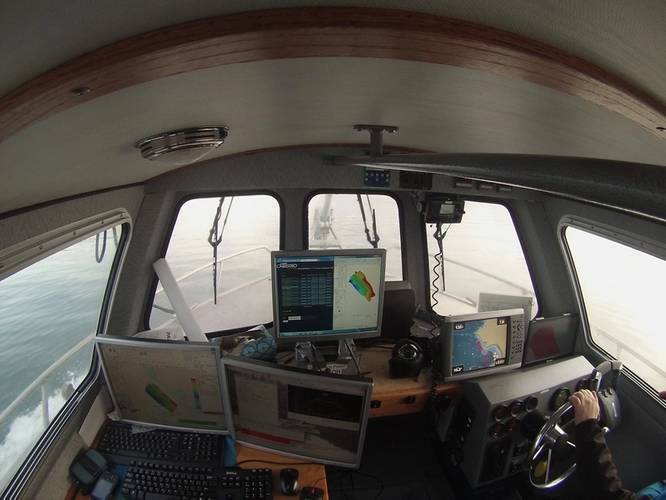 Equipped with an R2Sonic 2022, Applainix POS MV and AML Oceanographic Minos X (SVP); the vessel provided an ideal platform for testing CARIS Onboard. CARIS Onboard is an automated service installed on the survey platform that monitors for raw data files from an acquisition system. As new data is detected, it is automatically processed using a customized workflow which can include converting the data to a HIPS™ project, applying tide and sound velocity corrections, and producing products such as surfaces and sonar image mosaics. 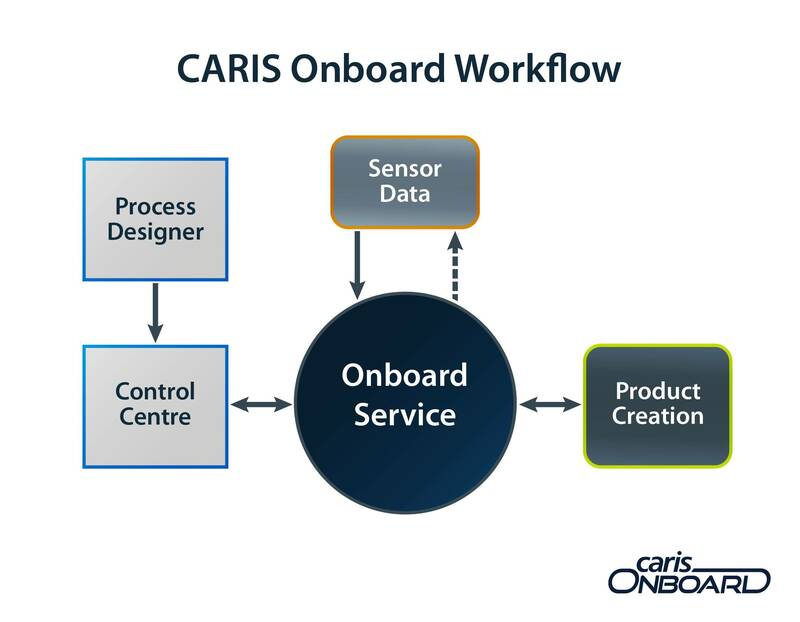 Processing status and progress are monitored through the web application “Control Centre”, while the products and quality information generated by the Onboard Service can be streamed to CARIS desktop applications. 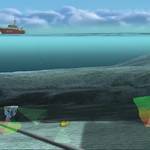 This enables the hydrographer to view the geo-referenced survey in near real-time from a remote location, for quality control and decision support, while the survey is still underway. Teledyne CARIS and CHS organized a trial for CARIS Onboard during a survey of the Wood Island Ferry Route in July 2015. 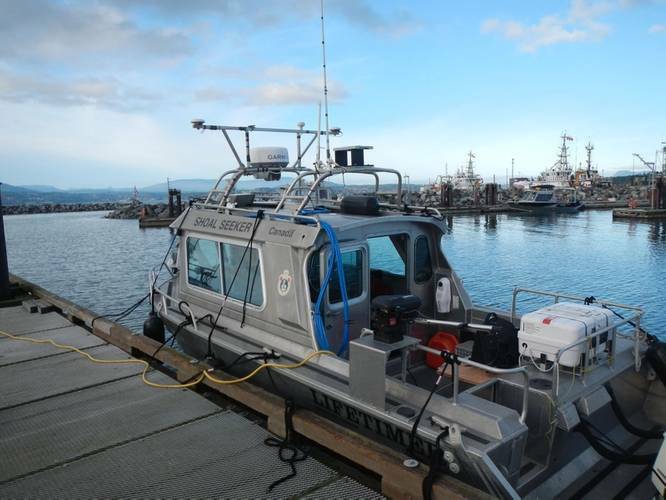 The survey consisted of EM2040 dual head data being collected from the CCGS FREDERICK G. CREED. The main goal was to test CARIS Onboard and ensure it produced the expected results. During standard operations on the F.G. Creed, once the acquisition system has released a line the survey crew manually copies the file to a separate drive. When the data processor sees the new line appear they manually run it through the following sequence of processes. The initial workflow allows quality control on the data to occur during operations, allowing problems in acquisition to be identified and corrected before the survey is completed. To test CARIS Onboard, the software was installed on an independent computer, to not interfere with normal operations, and the same initial workflow was applied. However, CARIS Onboard was able to directly monitor the acquisition computer for the raw files. Once each file was finished, the software automatically imported the raw data into a HIPS project and applied all the processing steps which are required for the initial quality control to occur. Not only did the software ensure the data was available for quality control in the fastest possible time, but it also freed up time for both the acquisition and processing teams, allowing them to focus more on mission critical tasks. As CARIS Onboard is automated, it reliably applies the same pre-configured workflow to each file as per operational procedures, removing the possibility of human blunders. The software freed the processing team from having to spend their time on mundane tasks, and allowed them to focus their time on processing the navigation data, reviewing the survey quality, and moving the processed data further along in the workflow. Ultimately, CARIS Onboard minimized the remaining processing backlog for when the project finished. The acquisition team was no longer distracted by copying each file as it finished, allowing their focus to be on running the survey equipment. By having real-time access to the CUBE surface on the bridge, the surface could be quickly reviewed for systematic errors that had adverse effects on the data quality. Or by using the standard deviation, Total Propagated Uncertainty (TPU) and data density layers they could easily note when the line spacing required adjustment or, a section had to be re-surveyed. Ultimately the survey quality feedback loop became much smaller than the traditional method of waiting on the manual processing. To validate that CARIS Onboard was producing the same results as the manual processing, a three dimensional comparison of processed depths for individual soundings was performed. After all processes have been applied, the processed depths consist of the latitude, longitude and depth value for each sounding. The comparison showed that all soundings matched to the full stored precision, which is 1mm for depths and 1/10000th of an arc second for latitude and longitude. 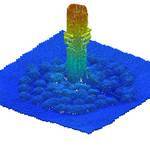 A comparison of the generated surfaces was also performed using the difference surface function in HIPS and SIPS™. As the CUBE function is dependent on the order that the lines are added to the surface, care was taken to ensure that only a single line was added at a time, in the order they were acquired. The difference surface produced from this test showed a min and max value of 0.000m, confirming that the two workflows produced identical surfaces. 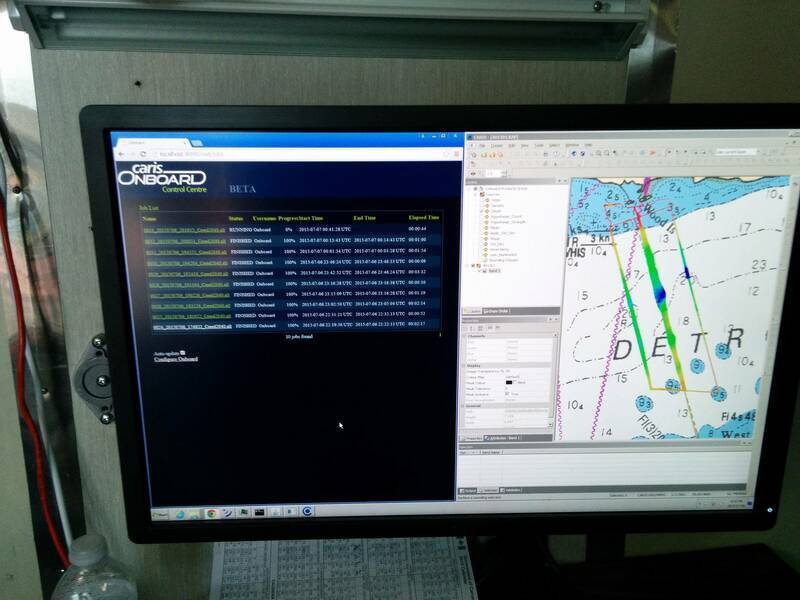 Teledyne CARIS and CHS organized a joint trial focused on the remote access capabilities of CARIS Onboard. 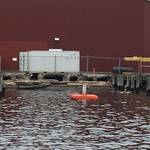 This would demonstrate that the software would be a viable solution for allowing the quality of data collected, without a hydrographer onboard, to be reviewed remotely. The survey consisted of R2Sonic 2022 data being collected from the CSL Shoal Seeker. The December trials had two main goals. First was proving that CARIS Onboard could supply reliable access to the CUBE surface over a 3G connection. Second was validating the performance of the overall survey system, which included real-time Global Navigation Satellite System (GNSS), using a previous in-time sound velocity correction, and CARIS Onboard. 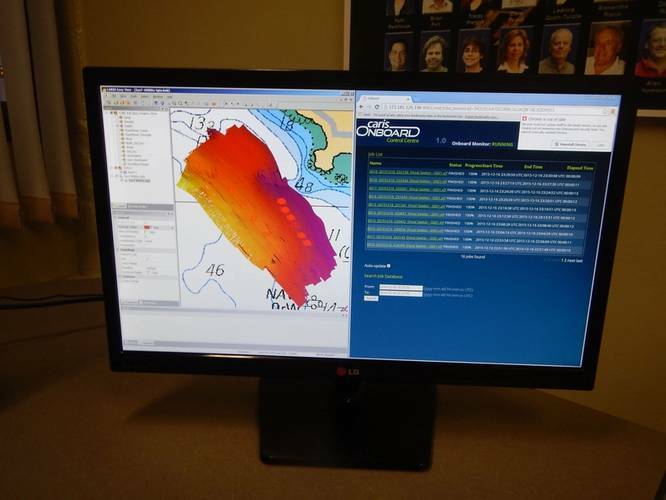 By using the Telus 3G connection to serve the CUBE surface over the internet, it was available for use on the survey vessel as well as being available for review from within the CHS Pacific offices while the survey was ongoing. 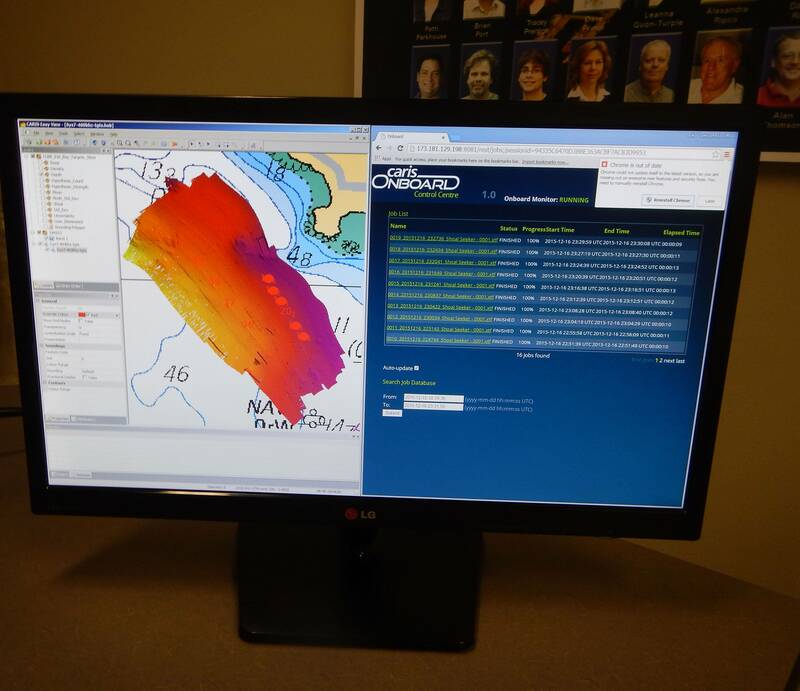 As the entire CUBE surface was made available for a remote connection, the hydrographer in the CHS Pacific office was able to connect to the surface using CARIS Easy View, while loading in background information to give the survey context. The hydrographer was also able to query the various surface layers, such as density and standard deviation to quantitatively and qualitatively review the survey results. While the survey was ongoing, the hydrographer was able to extract from the remote connection that the vessel speed was too fast. He immediately made contact with the vessel crew, requesting they reduce the vessel speed to improve the along track sounding density. The unintended event actually turned out to be exactly the results that the CHS was hoping to see, as it proved that CARIS Onboard allowed a remote hydrographer to review survey quality and initiate changes in how the data was being acquired, while the survey operations were still underway. Given that the results are produced in near real-time, using sound velocity with a previous in time algorithm and real-time GNSS, the comparison provides a reasonable representation of the level of uncertainty that could be expected. Although this method doesn’t directly demonstrate the TPU for the system, the positioning of all 10 targets within IHO S-44 special order standards is a good indication that hazards to navigation can be reliably identified and reported through a Notice to Shipping or Notice to Mariners, based purely on a remote connection to the real-time surface being produced by CARIS Onboard. Remote access and the use of autonomous survey platforms, are outside the normal scope of current CHS operations. Without a means to process the data on the platforms during, or immediately following acquisition, these types of operations will begin to form a processing backlog, creating several negative effects. It could cause detected hazards to remain unidentified for several months. Not having a feedback loop could have serious implications on the quality and quantity of the survey production. Also, if the delay between acquisition and production becomes too long, it could discourage the essential cooperation by the crew aboard a survey launch or vessel. 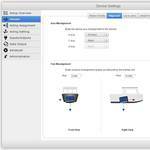 By automatically processing the raw data on the survey platform in near real-time and making the surfaces available over a remote connection, the concerns related to the lack of feedback loop and ever increasing processing backlog, diminish. Through the use of software such as CARIS Onboard, the platforms will return from their surveys with datasets that are partially to fully processed, depending on the overall workflow. Additionally by making use of the remote connection, the data can be reviewed while operations are underway maintaining a feedback loop, even without a hydrographer, on the vessel. Hare, R., et. al. (2012). 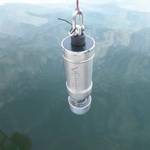 “Establishing a multibeam sonar evaluation test bed near Sidney, British Columbia”. Proceedings of the Canadian Hydrographic Conference 2012, Niagara Falls, Canada. The authors would like to thank CHS Pacific for assistance with Shoal Seeker mobilization and data collection and CHS Atlantic for assistance with F.G. Creed mobilization and data collection. Travis Hamilton has been the Product Manager for CARIS Onboard since 2015. Before working with CARIS he spent several years working in research and industry gaining experience with the operation of, and processing data from, AUVs, subsea positioning systems and swath sonar systems. Kalman Czotter is currently the Engineering Project Supervisor with the Canadian Hydrographic Service. He has worked as a Field Hydrographer with CHS since 1974. He obtained his Canada Lands Surveyor’s commission in 1993. He has authored numerous articles, reports on various hydrographic systems, served as member on the Association of Canada Lands Surveyors — Offshore Committee and represented CHS-Pacific on the CHS National Technical Support Working Group, CHS Standards and Procedures Working Group. His passion lies in developing and field implementing hardware/software solutions for hydrographic acquisition and data preparation tools. David Dodd PhD P.Eng CLS, joined IIC Technologies in April 2016. His previous positions included a three-year industry exchange with the Canadian Hydrographic Service (CHS Pacific region) and a three-year research and lecturer position at the University of Southern Mississippi’s (USM) Hydrographic Science Research Center. Dr. Dodd spent eight years as the director of the USM Master’s in hydrographic science program before moving to the research center. He has a B.Sc. and M.Sc. in Surveying Engineering from the University of New Brunswick and a PhD in Marine Science from the University of Southern Mississippi. In his 20 years in the hydrographic community he has worked in academia, government and the private sector. In the private sector he was involved with multibeam surveys, bridge construction, cable lay operations, software development and training, and hydrographic data quality control. He has worked as an adult educator in academia both at the community college and university levels, and he has conducted research in the fields of high-precision GNSS, ellipsoidally referenced surveying, bathymetric LiDAR, MSDI and phase differencing multibeam.